Photo by Joe Albright Parkersburg South center Makenna Winans shows off her defensive versaility while guarding a River (Ohio) guard during a 2017-18 regular-season game. Winans will be one of the big reasons the Patriots return to Charelston for a second season-in-a-row. 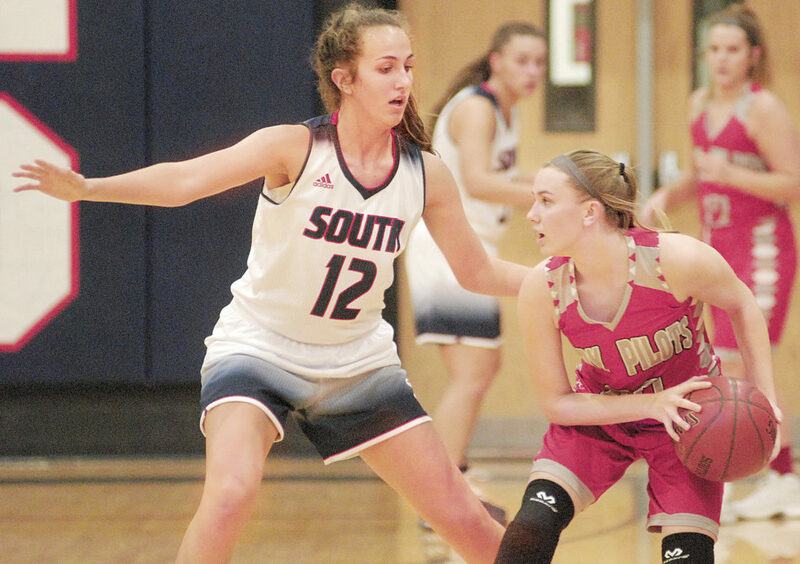 Parkersburg South girls’ basketball fell short of the ultimate goal of all Patriot teams this century– a state championship — by two wins last season. 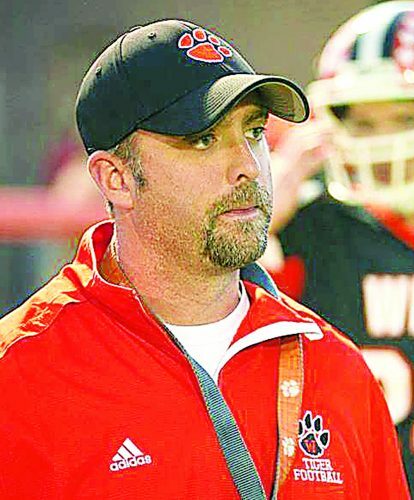 The bar established during Scott Stephens’ tenure (three state titles) remains unmoved since his departure. Third-year head coach Ed Davis and his players handled the 63-61 loss to PHS with dignity, but anyone could see on his and his players’ faces everyone took the setback hard during the press conference after the contest. South led late until Shay-Lee Kirby’s layup with 1:03 left gave the advantage to the Big Reds. Yet, one last chance was gifted after the Big Reds threw the ball out of bounds with 0.7 seconds left. Center Makenna Winans, however, couldn’t get a shot up under the basket as time expired. 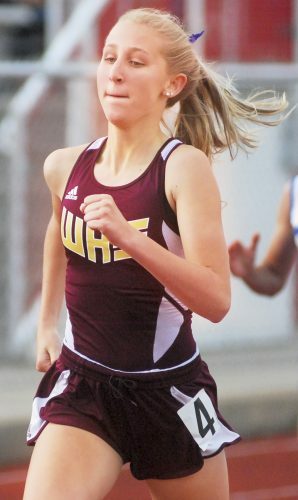 “Yeah losing in the state tournament makes you want it a lot more,” said Winans on what fueled her improvements this summer. The good news for Winans and the Patriots? A long wait for a return trip to the Charleston Civic Center for another crack at the program’s fourth state title isn’t a possibility. South returns many of the defensive pieces responsible for its ticket punch in the lineup and on the bench. Rylee Harner, Catreena Shears and Nakia Bracy being three of those defenders off the pine. Rarely does a team return so much defensive experience, but there are three in the city in PHS, Catholic and of course South. Davis’ team plays a great man-to-man defensive scheme and is deadly in a 2-3 zone. Patriot players expertly generate turnovers for extra offensive possessions. South averaged 20 takeaways a game the past two seasons, a nice ace-in-the-hole as the bad news can’t be avoided. Yes the defensive pieces are in place, but the offensive part of the equation is a work in progress. No one would blame Davis for being a forward thinker during the offseason. Not just about the future, but where the replacement of graduated small forward Devin Hefner’s and power forward Allie Taylor’s scoring numbers would come from on the hardwood. Hefner and Taylor contributed 46 percent of the Patriots’ 62.7 points per game. Winans, the team’s returning leading scorer at 15.8 ppg, will hold up her end of the bargain. 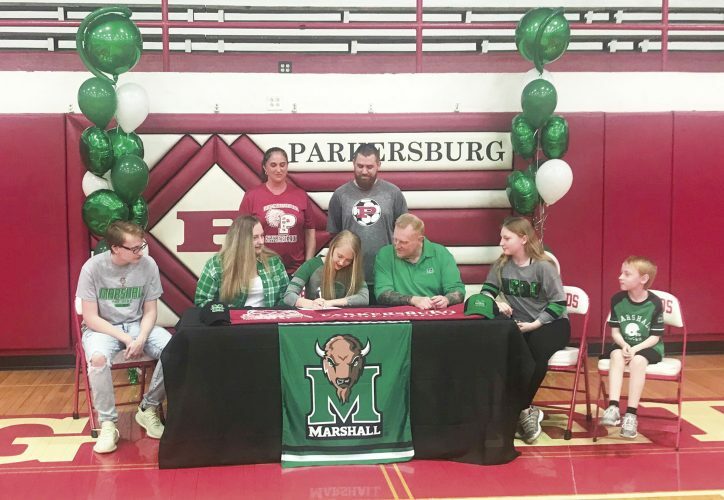 The junior, who improved her game after a summer of playing against some of the top talent in the country with the AAU Ohio Valley Dragons, provides a low-post threat few teams can handle on a nightly basis. PHS, Morgantown and Wheeling Park minus the usual surprise contender are the only teams on the schedule who can successfully guard her one-on-one. Worst-case scenrio sees Winans double-teamed early and often in the opening part of the season as other players are dared to take shots. Guards Kenzie Johnson and Sierra Hays driving the ball to the basket and finishing at the hoop more late last year could neutralize this scenario if it continues. The duo make up one the best defensive front courts in the Mountain State. Hays is ready for anything Davis may ask her to do. More traffic in the lane means more chances for easy dump-offs for Winans as defenses collapse to stop Johnson and Hays from driving inside. Erin Williams and Jordan Huffman’s height and quickness also create multiple mismatches in the post. Williams explodes to the basket with a quick first step off the dribble. A full season of a healthy Lauren Pelfrey makes a big difference from beyond the arc. Fans shouldn’t sleep on Bracy either. She showed scoring prowess off the bench on the varisty team. A challenging schedule starts the bonding process immediately with a trip to Greenbrier East for the opener. Governor Jim Justice’s Spartans came up one win shy of a trip to the state tournament. 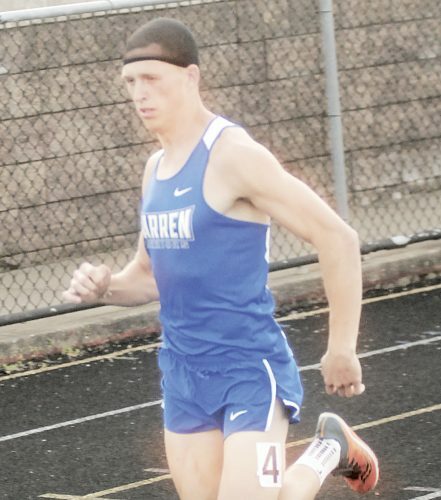 Fort Frye (loser of a district semi in Ohio), Wheeling Park (state tournament qualifier who almost knocked off Buckhannon-Upshur in a semifinal), Morgantown (who almost beat B-U in a regional co-final, state champion PHS and Warren are among the first nine opponents of the season. South’s season opens Nov. 30 in Lewisburg.